Olympus and exhibtr.com have announced the winners of the 'People and Portraits' student competition. 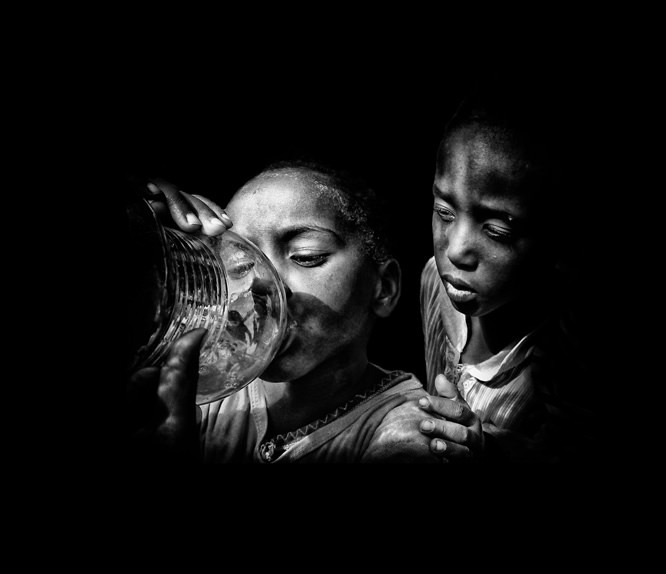 'Water is Life' - the winning image by Jasper Wilkins. Olympus has announced the winners of their student photography competition with a theme of 'People and Portraits'. The competition was judged by professional photographers R.Cleveland Aaron and Jay McLaughlin, Jon Bentley of Channel 5’s Gadget Show and Jack Harries of the extremely popular JacksGap website. "Jasper Wilkins' clever and powerful use of light in his composition communicates, with great eloquence, the title of this image. The viewer's attentions are kept solely on what’s important, the children and the water they crave. This image epitomises the power of photography." Jasper wins an OM-D E-M5 for his winning entry.